Parappa the Rapper creator Masaya Matsuura and Keiichi Yano of Gitaroo Man and the Ouendan are teaming up for a new story-driven rhythm adventure. Remember when rhythm games had stories? These two do. 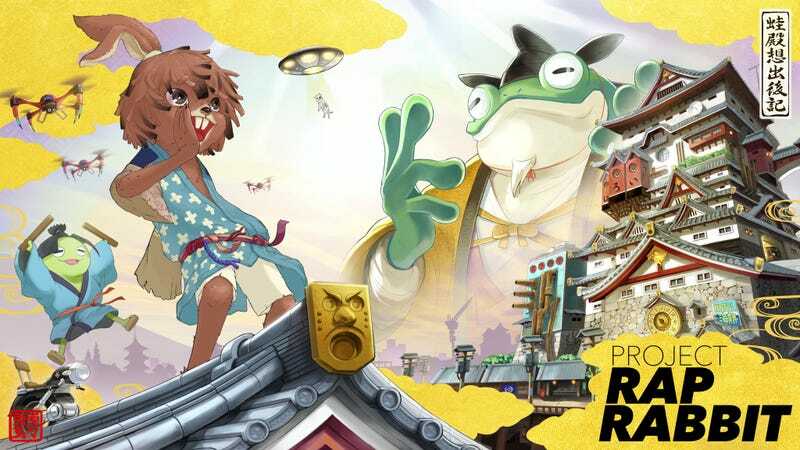 While we have little information about Project Rap Rabbit—just a teaser website (via Gematsu) and trailer, the simple fact that Matsuura and Yano and their respective studios, NanaOn-Sha and iNiS, are working together is wonderful news for rhythmgame fans. In a day when most games in the genre aren’t much more than a song list to tap along to, we could really use some of that Parappa/Elite Beat Agents magic.